The objective of this business guide is to define the Taxco Income Tax Solutions we offer and how they may be of benefit to you. At Taxco, we provide our clients with insightful and innovative tax planning, compliance, and consulting services. Our Tax Team is staffed with highly-skilled professionals who are specially trained to tackle a host of tax-related issues. Each member of Taxco's Tax team undergoes rigorous, ongoing training to ensure that he or she is abreast of the latest developments in Tax law and South African Revenue requirements. Why pay Taxco for the completion of your Income Tax return? It is each taxpayer’s responsibility to submit the applicable tax forms on time to the South African Revenue Services. We can assist you in submitting your returns on time, as well as to structure your tax affairs in the most efficient manner allowable. We also provide an exceptional service in Alternate Dispute Resolution with the South African Revenue Service, in negotiating with the SARS and in settlement matters. Since the South African Revenue Services implemented the NITS system, it has become more important to complete the tax return correctly the first time to avoid unnecessary objections and to ensure that you receive your refund as quickly as possible. The NITS system took away the human discretion and now automatically calculates penalties and interest on under-payment of income tax. We have the skills, experience and knowledge to complete and submit your tax return correctly the first time, which will avoid delays and ensure correct assessments. We deal with the South African Revenue Services on a daily basis, and keep abreast with the changes in Income Tax. We notify you of the outcome of our calculations before any submission, so you are always one step ahead. Given the ever-increasing complexities of corporate and individual tax legislation plus the severe penalties imposed on persons that fail to meet their tax obligations, tax compliance can no longer be treated as a low priority. It is now a critical business imperative that demands as much attention as any other business risk, if not more. 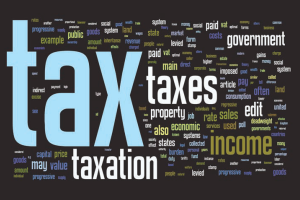 To manage your tax risks effectively, Taxco offers you a comprehensive outsourced solution. Complete with streamlined processes, accurate information systems and ongoing controls and management, anything less is high risk. With our online tax services, you keep abreast of tax law changes all year round (we keep you up to date with regular emails, interesting facts and changes that might effect your tax status or refunds) and ensure that you are taking advantage of all the tax incentives. You are also able to view your taxes and returns submitted on your behalf online. We upload all your tax documents into your unique Tax Box. Taxco's online tax services being affordable, timely and 100% secure with a rapid tax refund is a relief for all those taxpayers looking to prepare and file their Income tax returns. From tax planning to tax preparation to its absolute filing, the tax advisors at Taxco walk you through every step of the process. With Taxco, you no longer have to worry about filing your taxes when the tax season arrives. Through our secure online services , we’ll not only file your tax forms, but you’ll also be able to review the information entered into each section of your tax form and advise us of edits, if necessary. Expert tax advisors are always here to help you and submit your income taxes online. Accuracy in managing your tax returns is Guaranteed. Our tax professionals assist you navigate an increasingly complex tax environment. Today, it is imperative that you comply with the requirements of our tax system, and our specialists advise on the most appropriate ways to structure your personal, corporate and international tax. We look at all aspects of your personal tax situation including international tax planning, charitable donations, venture planning, retirement and estate planning and offshore trusts to ensure that you gain optimum tax savings in terms of the Income Tax Act. We offer sound tax planning advice for your business which encompasses executive payrolls and pay structuring, fringe benefits, comprehensive preparation of tax returns and liaison with the South African Revenue Service, and retirement and estate planning. We offer comprehensive and expert advice on all aspects of international tax including tax shelters, double tax agreements, the residence basis of taxation and capital gains tax. What makes Taxco special? Our enthusiasm, our commitment to our clients, and our selection of products are all reasons you should have your taxes prepared by Taxco Income Tax Solutions. Contact us, now for more details, also see our Tax Box for another unique solution.